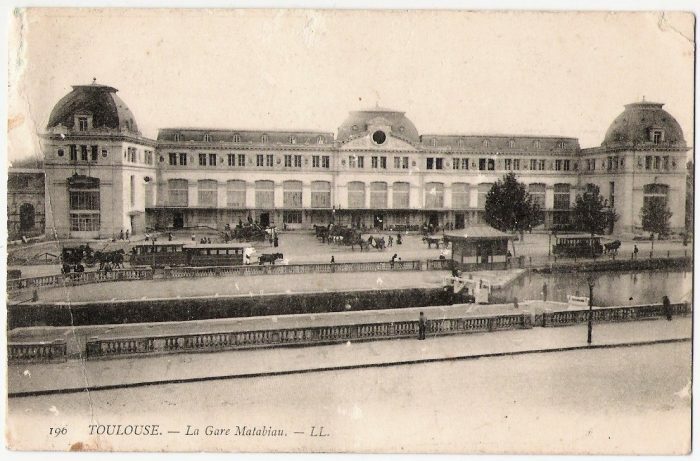 This is the Gare Matabiau in Toulouse (the city’s main train station), circa 1900. A very interesting picture – at least for me – as I rode the train there several times a month in the mid-90’s when I was an undergraduate student in Toulouse. All things considered, it hasn’t changed much. The neighborhood (and the vehicles 😉 ) have though. ← Is it how generation gaps are born?